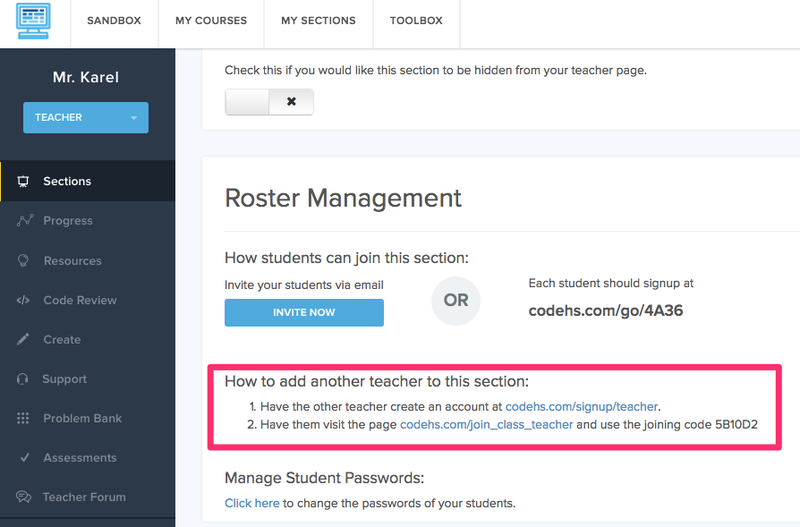 Classes, or sections, on CodeHS can be co-taught by multiple teachers. 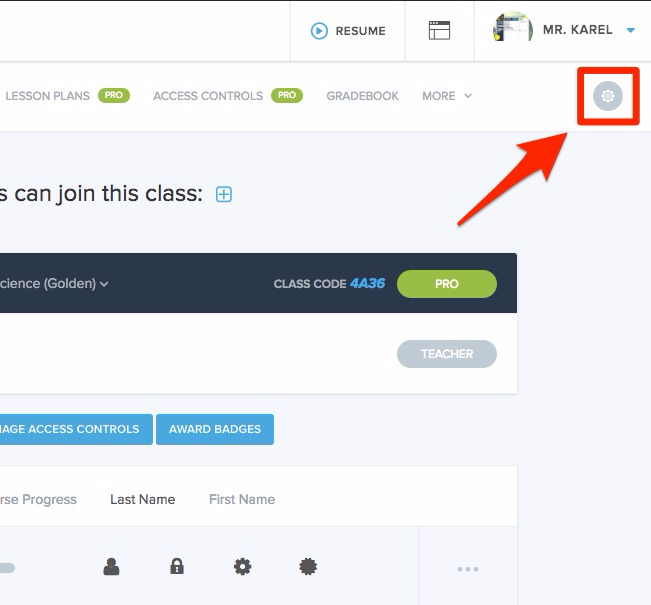 Once you've created the class from your Teacher page, visit the Class Settings page by clicking on the gear icon in the top right corner of the page. From that page you will find instructions on how to add a second (or third) teacher to your class. Once they have been added to your class, both teachers will have the same viewing, grading and administrative privileges over the class.